The Herbsmith Rx line offers different levels of herbal blends for every level of veterinarian, whether you are just becoming acquainted with holistic medicine or have been practicing for years! The starter blends found in the “Herbsmith Core Formulas” have been masterfully formulated by Chris Bessent, D.V.M., founder of Herbsmith, to address common issues in pets. These great formulas are now available in both powder and tablets. 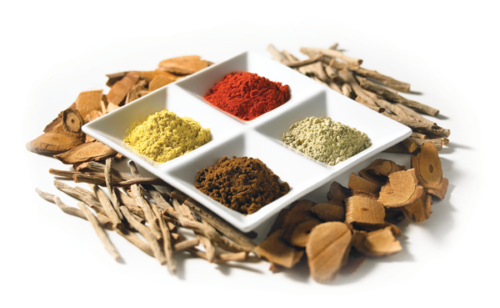 The Herbsmith Traditional Formulas are for vets who are familiar with ancient chinese herbal formulas that have been used for thousands of years. We offer many of the traditional formulas in a variety of forms for ease of administration, including powder, tablets, 5-to-1 extract tablets, capsules and tea pills. We also offer many other holistic veterinary supplies such as Seirin and Mac acupuncture needles, acupuncture supplies and educational literature for you and your clients. For the advanced herbalist, Herbsmith offers Herbsmith Single Herbs for those vets who may wish to modify any of our existing formulas, as well as pre-mixed Custom Blends of any of our formulas. To order a custom formula, please call 800.624.6429. Dr. Bessent maintains a busy exclusive holistic veterinary practice in Southeastern Wisconsin where she treats horses and dogs on a daily basis. In addition, she teaches the benefits and wisdom of Chinese veterinary medicine through seminars, classes and internships for veterinary students, veterinarians and horse and dog owners.